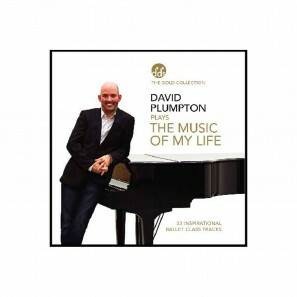 Music of my Live - David Plumpton – ML18C "The Music of My Life” is a 77 minute double length CD by David Plumpton containing 33 unrepeated piano melodies for a complete intermediate ballet class. It offers a unique collection of familiar music without singing or vocal instructions. 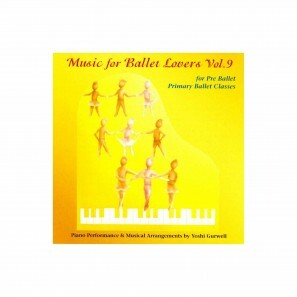 Yoshi Gurwell Music for Preballet Class CD “Music for Ballet Lovers Vol. 9” is a 57 minute double length CD by Yoshimi Gurwell containing 40 unrepeated solo piano melodies for acomplete preballet class. It offers a unique collection of classical music without singing or vocal instructions. Gorgeous Moments II - Yoshi Gurwell Music for Ballet “Music for Ballet Lovers Vol. 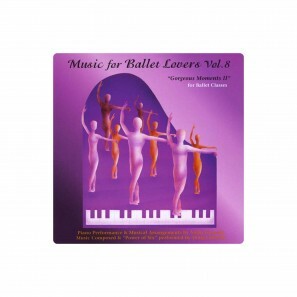 8” is a 72 minute double length CD by Yoshimi Gurwell containing 40 unrepeated solo piano melodies for a complete ballet class.It offers a unique collection of original music without singing or vocal instructions. 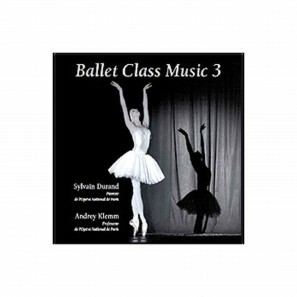 Andrey Klemm & Sylvain Durand Ballet/Pointe Music CD “Ballet Class Music 3” is a 58 min. single length CD by Andrey Klemm & Sylvain Durand containing 56 repeated solo piano melodies for a complete intermediate ballet class. It offers a unique collection of original & music without singing or vocal instructions. 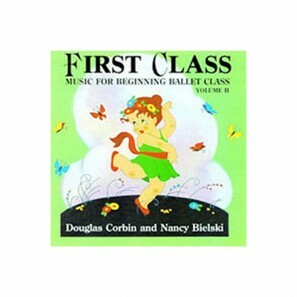 Nancy Bielski & Douglas Corbin - Music For Preballet Class A double length compact disc with 24 repeated solo piano melodies for a complete preballet class. It offers a unique collection of original music without singing or vocal instructions. Andrey Klemm & Sylvain Durand Ballet Music CD “Amandine Ballet Class” is a 57 minute single length CD by Andrey Klemm & Sylvain Durand containing 54 repeated solo piano melodies for a complete ballet class. It offers a unique collection of original & classical music without singing or vocal instructions. 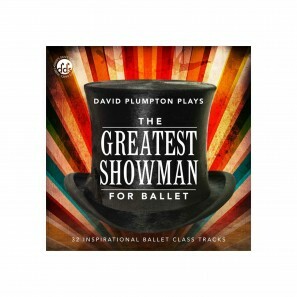 The Greatest Showman for Ballet Class - David Plumpton - CD “The Greatest Showman” is a 71 minute double length CD by David Plumpton containing 32 unrepeated piano melodies for a complete intermediate ballet class. It offers a unique collection of familiar music without singing or vocal instructions. Inside Ballet Class Vol. 4 - Yee Sik Wong Audio CD “Upper Level Technique Class Vol. 4” is a 60 minute single length CD by Stephanie Murrish & Yee Sik Wong containing 43 unrepeated solo piano melodies for a complete intermediate ballet class. It offers a unique collection of classical music without singing or vocal instructions. Coda - Ballet Class Music for Advanced Dancers - Nolwenn Collet “Coda” is a 75 minute single length CD by Nolwenn Collet containing 52 unrepeated solo piano melodies for a complete advanced ballet class. It offers a unique collection of original music without singing or vocal instructions. 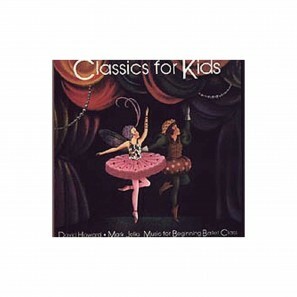 Classics for Kids - David Howard & Mark Jelks - Audio CD A double length compact disc with 25 repeated solo piano melodies for a complete beginning ballet class. 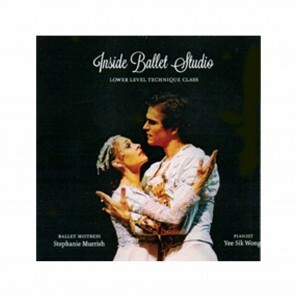 It offers a unique collection of music from famous ballets without singing or vocal instructions.